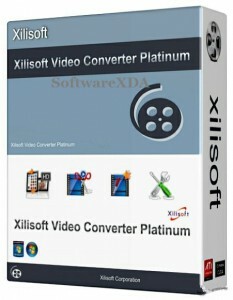 Xilisoft Video Converter Platinum can convert video files from HD to HD, HD to SD and SD to SD, transform between audio files, enabling you to transfer any video/audio files to PSP, PS3, iPod, iPhone, Apple TV, Xbox and other digital devices. Lots of editing options are available for you to get custom files. Supported High-Definition video formats include: H.264/MPEG-4 AVC, AVCHD Video (*.m2ts, *.mts), Apple TV h.264 720P, MKV, HD WMV, MPEG2/MPEG-4 and TS HD Video. Supported general video formats: AVI, MPEG, WMV, DivX, MP4, H.264/AVC, MKV, RM, MOV, XviD, 3GP, and FLV. Transform between MP3, WMA, WAV, RA, M4A, AAC, AC3, MP2, OGG and such audio formats; extract audio file from HD/SD video. Support multi-core CPU, multi-threading and batch process.